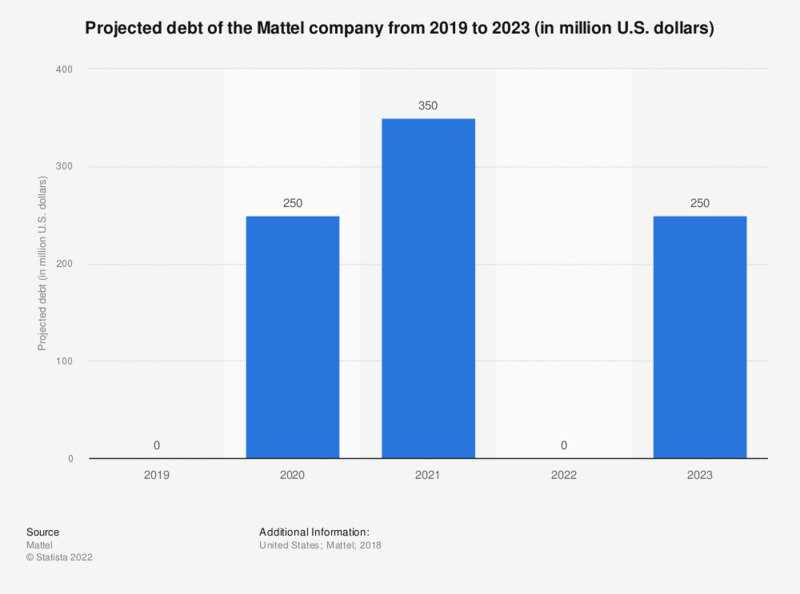 This statistic shows the projected debt of the toy manufacturer Mattel from 2019 to 2023. The debt is projected to reach around 250 million U.S. dollars in 2023. What do you think when you see people with fidget spinners?